As you are all probably aware, I went to get a sample of MAC's most recent foundation some time last month from my local counter. I have worn it a few times now and I think I'm ready to give it my own personal review. 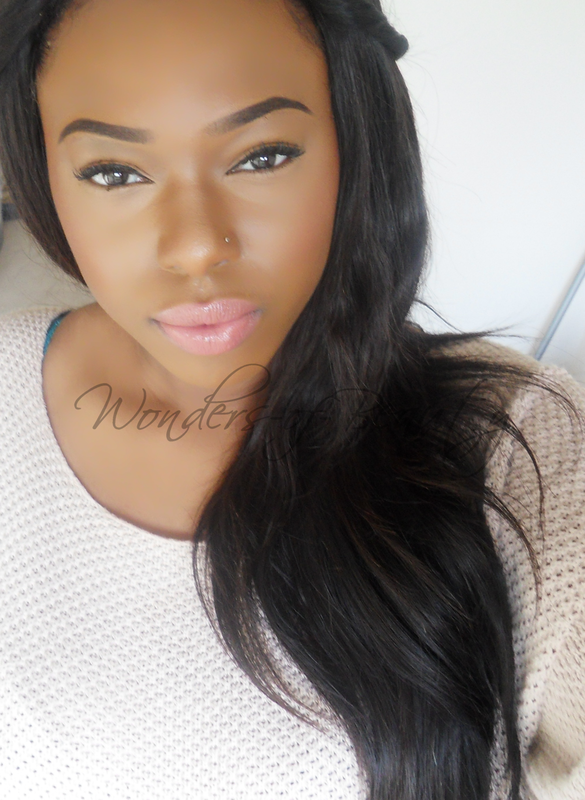 Though I have tried a range of MAC foundations, I've never really found one that I would say I loved. They had spent quite a while developing the technology for this foundation so I thought I'd try it out. "With our all races credo, we’re redefined what a perfect match should be with new Matchmaster Foundation SPF 15 technology, using translucent pigments to create a formula that enables a fully personalized finish influenced by the subtleties of your own skin tone. Adding to Matchmaster’s true-to-life appeal is its moisturizing demi-matte finish, medium buildable coverage, and line-reducing soft focus powders. Add the fact that this formula reduces excess shine-creating oil, and who could resist?" As described by MAC, I would agree that this foundation has a medium coverage but I would say it was more on the lighter side of a medium coverage. 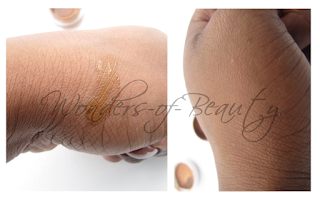 If you are somebody who likes a full coverage and would like to cover imperfections such as scars, blemishes or hyperpigmentation, you may find that the coverage of this foundation isn't enough for you. Though it may cover some blemishes to a certain extent, I don't think it will cover everything. I found that when using Matchmaster some of your natural skin does tend to show through which is expected as it is only a medium coverage foundation. Because it isn't too heavy, it looks very skin-like. It is great for those who maybe just want to even out their skin-tone but still want a natural look. This foundation has a very natural demi-matte finish but I usually finish my face using a powder. 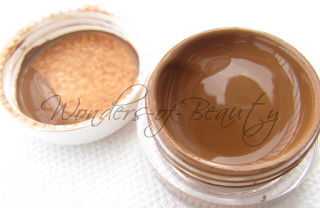 It can definitely be worn without a powder to sustain the demi-matte finish. One thing I will credit this foundation for is the texture. It is liquid and has a lovely texture which is very blendable. I've never had a problem with blending this foundation into my skin. Once applied, it looks very smooth as well. The texture is a bit thicker than some foundations that I currently own but this isn't a problem once applied. I have worn this foundation for up to 10hrs and as with all my other foundations, it seemed to stay on my face pretty well. My only problem is that I found myself looking shiny after around 5hrs and would need to touch up a bit to keep my makeup looking fresh. When used with the Laura Mercier Invisible Loose Powder, I found that it took longer before I needed to touch up and looked good for about maybe 7hrs. I like my makeup looking fresh for the majority of the day and this foundation just didn't do that for me. I hate shine and having to touch up during the day so I'm not too sure about MAC's claim that this foundation "reduces excess shine-creating oil"
This foundation comes in 14 different shades. 1.0 being the palest and 10.0 being the darkest. The shades have been labelled differently to MAC's original labelling system. All the shades in Matchmaster have a neutral undertone. I normally use NC50 throughout the MAC ranges and though MAC claims that with this new technology, the foundation shade should adjust to your skin tone, I didn't find 7.5 was a perfect match for me when the foundation was originally applied but I guess throughout the day, it did adjust ever so slightly though the match still wasn't fantastic. 7.0 was too light and 8.0 was too dark. This foundation is £24.50 and costs more than most MAC foundations. In comparison to their Studio Fix Fluid (which is £19.50), the Matchmaster costs more because you get 35ml worth of product and Studio Fix Fluid has only 30ml of product. 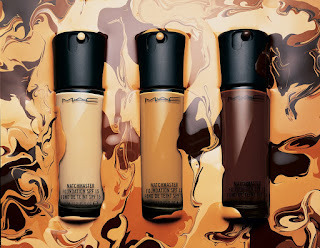 This foundation is available from any MAC counter or anywhere that stocks MAC products such as Debenhams (online). Click Here to purchase it from the MAC website. To be quite honest, I was expecting much more from this foundation and I don't know why. I think because I was so desperate to find a foundation in MAC that I loved, I was hoping that Matchmaster would be the one. Don't get me wrong, this foundation is still lovely but I am not blown away to the extent where I'd rush out to purchase it. There really isn't anything that it does for me, that most of my other foundations can't. The claim that it adjusts to your skin tone may work better for others but I didn't find it great. All in all I was quite disappointed with this foundation because I had such high hopes and expectations from it. As far as I am aware, it didn't make me break out or anything but my friend who got a sample at the same time that I did, suffered from break outs and therefore stopped using it. For now, I don't think that I'll be purchasing this foundation but I will continue using the samples (me being cheeky, I got two) that I got from the counter until they run out. Did anyone buy the MAC Matchmaster foundation or have gone to get a sample? Update and I need your help!